Woah, I’m a wee bit late with my Vegan Presence review this month. My bad, yo! Vegan Presence is a monthly subscription box service that features — you guessed it — all vegan-friendly products. Items can range from food to beauty to household essentials. This is by-far one of my favorite subscription boxes! Okay, let’s take a look at December’s offerings, shall we? 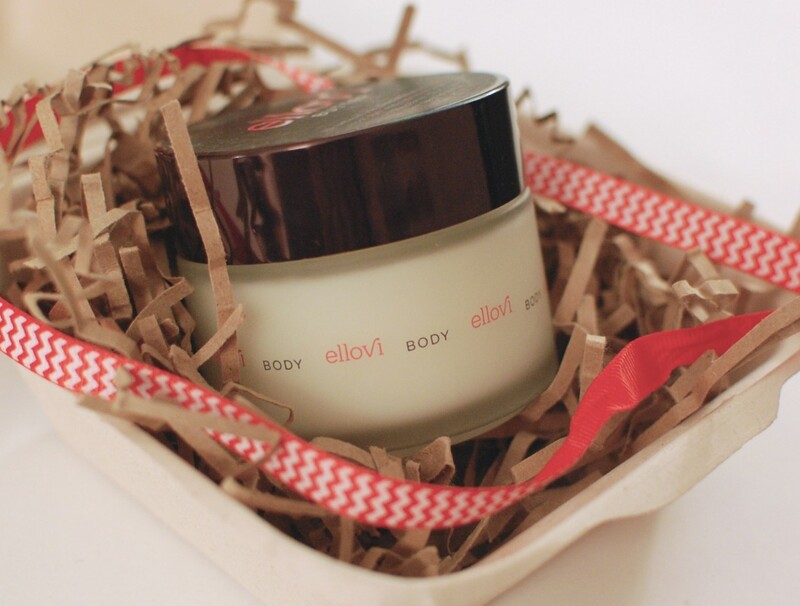 Ellovi Body Butter – This is a FULL SIZE jar of 100% vegan/cruelty free body butter. I have a TON of lotions/butters/balms already (thanks, sub boxes! ), so I wasn’t too excited about getting another one. However, this does seem like a pretty awesome product. It’s totally free of artificial fragrance, it’s safe for all skin types, and it’s made with all natural raw ingredients. Oh, and it doesn’t contain any water, like most lotions do — so your skin will stay hydrated once it’s all absorbed. Woo! 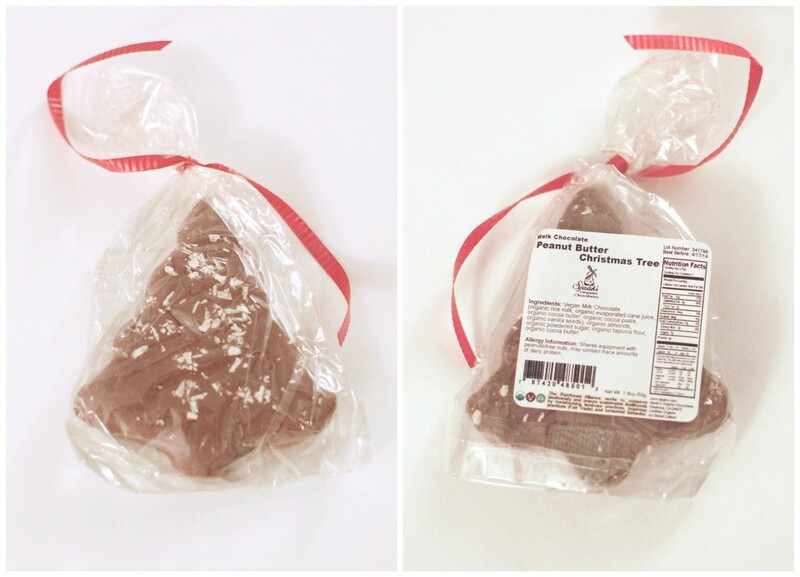 Sjaak’s “Milk” Chocolate Peanut Butter Christmas Tree – HELLS. YES. One of my top favorite things to find in a sub box? Vegan effin’ chocolate! My favorite kind of vegan chocolate? Tree-shaped! Okay, that last part isn’t necessarily true, but whatever… Can’t go wrong with fun-shaped, vegan confections. Oh, and did I mention it was peanut butter filled? SO GOOD. 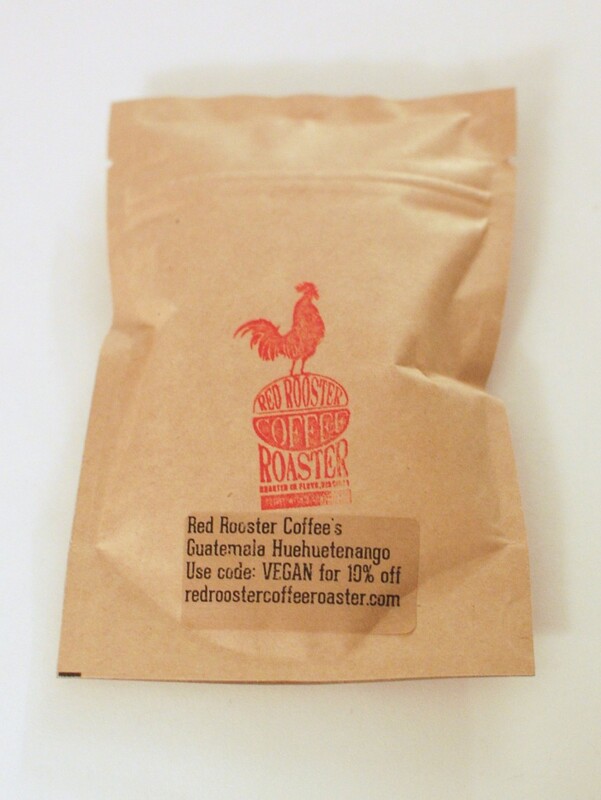 Red Rooster Coffee Roaster Guatemala Huehuetenango Coffee – I’m starting to build quite the coffee bean collection. I think this is the third or fourth bag o’ beans I’ve gotten in the last month or so. I don’t have a coffee grinder, but I think my Magic Bullet can do the job (we’ll see). Anywho, these beans are certified organic, fair trade, and roasted in Virginia. Red Rooster is all about being eco-friendly/socially conscious — their bags are printed locally using water-based inks and are totally biodegradable. Neat! Disclosure: I purchased this with my own funds. I was not compensated in any way. All opinions are my own. Post may contain affiliate links. Oh, it’s interesting to see what different things we received from Vegan Presence! Agreed, fab cream!